Although Himalayan salt is not as widely known as sea salt or regular table salt, its benefits are noteworthy and it can have a major impact on your health. Read this article to find out what exactly Himalayan salt is, what the benefits of Himalayan salt are and what Himalayan salt products give you these significant benefits. Himalayan salt is often referred to as full spectrum salt because it contains over 80 different naturally occurring minerals that give your body what it needs. Himalayan salt is unprocessed “raw” salt that is hand-mined from abundant salt caves that were formed 250 million years ago as ocean salt settled in certain geologic pockets around the earth. No additives or bleach are used to refine it, whereas table salt is actually 97.5% sodium chloride and 2.5% chemicals such as moisture absorbents, and iodine. Also be careful not to confuse Himalayan salt with sea salt. Sea salt boasts only eight minerals, including iodine, manganese and potassium, while Himalayan salt has over 80. Himalayan salt has numerous benefits, including regulating the water content throughout your body, promoting a healthy pH balance in your cells, and promoting blood sugar health and helping to reduce the signs of aging. • The use of Himalayan salt has a balancing effect on the body's electrolytes because of its rich mineral content. Having balanced electrolytes reduces fatigue and helps with endurance during exercise. • Himalayan salt supports respiratory health and sinus health. • It's naturally shelf-stable as long as you keep it relatively dry and unopened, so you can use it for years. • Storing full-spectrum salt is not only good for your health today; it's a type of nutritional insurance against future food shortages. • It naturally promotes sleep and helps you regulate your sleep cycle. • Reduces craves since a craving for junk foods is often just a craving for full-spectrum salt. When your body lacks minerals, it urges you to consume more. This is often mistranslated in your mind as a craving for salty snack foods. But consuming Himalayan salt can often ease your junk food cravings. What products deliver the benefits of Himalayan Salt? It is important to try various Himalayan Salt products to see which products work best for you. Two of the main products that deliver the benefits of Himalayan Salt are Himalayan Salt Lamps and Himalayan Salt Inhalers. Himalayan Salt Lamps can help create general well-being, health and wellness through the characteristics of ionization, which makes them a great option for anyone interested in receiving the benefits of Himalayan Salt. 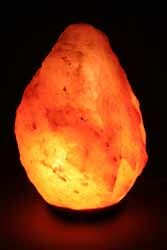 Himalayan Salt Lamps are carefully made from salt crystal rocks formed by nature millions of years ago. All Himalayan Salt Lamps featured by The OM Shoppe use salt that has been mined by hand, where the use of explosives are strictly prohibited, so that the Himalayan Salt Lights remain pure and the crystalline structure is preserved. The lamps are crafted by hand to retain the unique and beautiful shape of the rock, producing a rare crystal with beautiful colors. As the lamp warms up, negative ions lift off from the surface and help cleanse and improve the quality and freshness of the air that you breathe. These lamps are a great way to enhance the air you breathe in your home or your office daily. 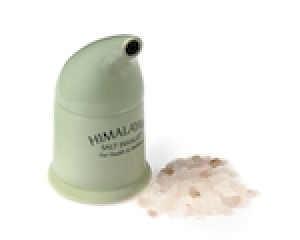 Himalayan salt inhalers are another Himalayan salt product highly recommended by health experts such as Dr. Oz. The Himalayan salt inhaler provides relief from breathing difficulties, shortness of breath, sinus conditions, allergies, fly symptoms and snoring.